The topic of today’s post is quite vague so let me elaborate. Often time I find myself working on projects that from the early schematic design to late CD’s were studies and developed using software other than Autodesk’s Revit. However, even as designers are working in Rhino, Grasshopper (GH) or AutoCad to create ideas sooner or later they all get documented in Revit. I myself find it much easier to generate complex geometry in Rhino/GH, but nonetheless eventually it will find its way into Revit. Geometry itself is usually not that big of a deal since there is already an array of plugins like Hummingbird, Chameleon, Grevit or Lyrebird to transfer that information from GH to Revit. What usually bothers me is that as I am generating all of these complex roof panels, fascia panels, ceiling panels, facade panels and all of their identity information, widths, lengths, angles, ids, assembly ids, etc is really just “data” and not geometry. There is no plugin currently that let’s you move that stuff from GH to Revit in a straight forward way without jumping through hoops. I mean I am all for exporting it to Excel and then loading it back in. That’s easy enough but you have to make sure that you already created Revit elements and their parameters to write that data back to them. 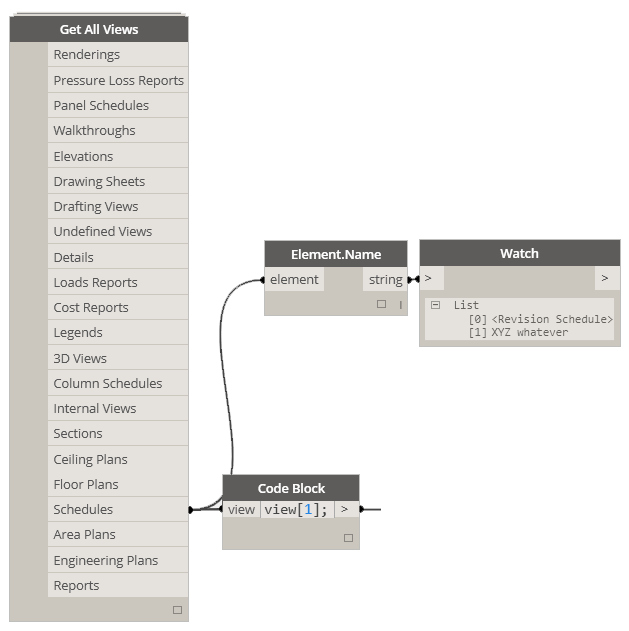 What about just “data” that doesn’t come from Revit elements? What if its something artificially created in GH and shouldn’t really be attached to anything in Revit. That’s where this workflow comes in. Using Mantis Shrimp, now I can easily generate a KeySchedule in Revit and fill it in with data from GH. No hassle of creating Revit elements, adding parameters and then writing data to them so that they can be later scheduled. 2015 is going to be so much nicer with this workflow handy. Then I generate a Key Schedule in Revit of some rarely used category. For this example I used Analyitical Nodes category from the Structural group of categories because I never used those nodes for anything in Revit so I am sure this won’t be a conflict later in the project. This is awesome. Just what I needed. Thanks! I’ve gotten “Key Schedule” to work in 2015, but it is apparently only for Text parameters. What would it take to have it work for Lengths and Integers, too? This is really something i was looking forward since we already have a tool taht does it but Dynamo sounded like a good idea. I still have a few more questions. My numbers in excel are transfromed into 1.0 in the Key Name, not sure why. The Schedule is not being updated when i change a value in the Excel file. I erased the values and ran it again and i get null values again. Im trying to import a excel schedule to revit, using your guide abow. i just cant figrued out what im missing, – i cant type in the codeblock . Hope you migth could help me with the missing link in this dynamo..
Well, that Excel file is formatted in such way that it will have a ton of null values when it’s read into Dynamo. 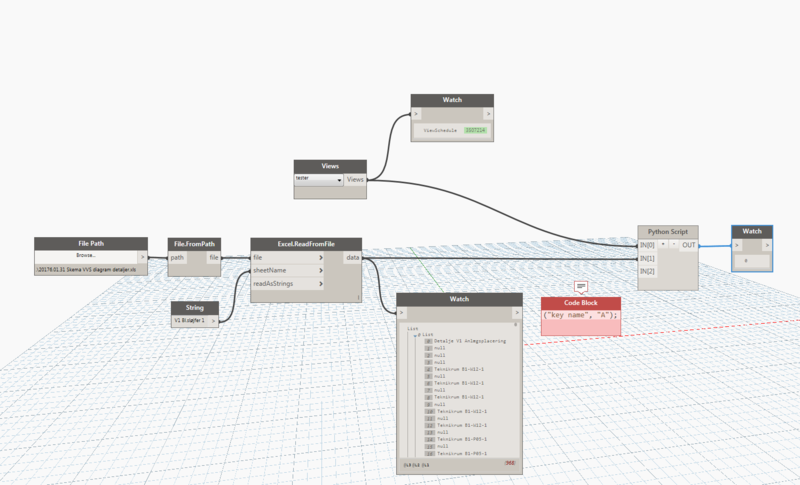 Dynamo or Revit for that matter won’t handle null values very well so I suggest that you try and curate the data or format it appropriately after it was read into Dynamo. 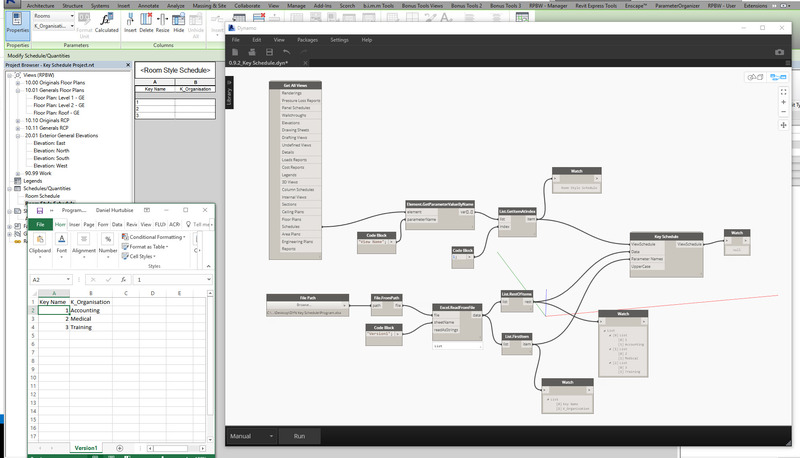 Remember that you can’t really do anything extraordinary with these custom nodes, if Revit itself doesn’t allow that. It for sure doesn’t allow all of these merged columns. You will have to figure that one out yourself. sorry for the spam. here is the excel schedule i like to import.